We began our journey as parents with the birth of our twins – a son, Avery and a daughter, Emma. Our lives were full of happy commotion. One typically lively day, we noticed Emma was making some unusual repetitive movements with her head and arms. We called the pediatrician, rushed our then six month-old to Children’s Hospital Emergency Room, and watched with fear as they poked and prodded our baby. THAT was the beginning of Emma’s journey with epilepsy. We spent the first few months trying to understand what epilepsy was and what it meant for our child. Would she walk, talk, learn? She entered Children’s Hospital alert and able to sit - she came home 10 days later, sleepy and barely able to hold up her head. We quickly assembled an army of care around Emma - speech therapists, physical therapists, occupational therapists, developmental specialists and doctors from every specialty. Emma learned to crawl at 11 months, walked at 22 months, attended a typical preschool and eventually went to kindergarten with all of her peers. We were so proud of everything she had accomplished. Emma had her share of challenges too. Over the course of her illness, she was prescribed more than 10 different medications, received a Vagus Nerve Stimulator implant, and struggled with sleep deprivation, anxiety, and cognitive delays. Despite tremendous stress and heartache, we were able to decrease Emma’s seizures from six per day to one or two per week. In our eyes, this was remarkable progress. Though part of her life, epilepsy did not define Emma or us as a family. 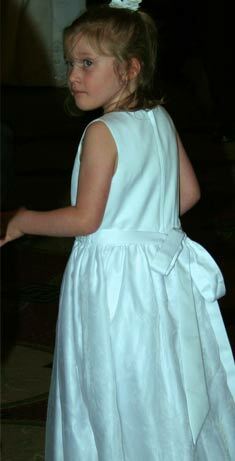 She was an engaged, happy, incredibly affectionate little girl who taught our family about what matters most in life. Emma was like a butterfly – persistently transforming and awaiting the development of her wings. 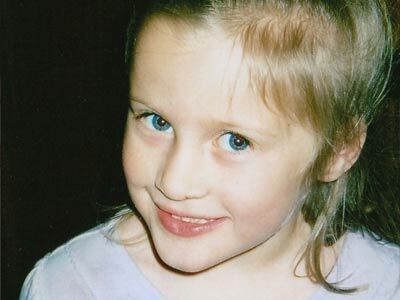 At the age of seven, Emma’s journey abruptly ended on July 14, 2008. Her dad went to wake her for summer school and quickly realized that Emma had died in her sleep. The epilepsy we were learning to live with had now developed a fatal complication that took the life of our first- born little girl. Our lives were forever changed that day. The army of love, information, advocacy and support we had surrounded Emma with was not enough. Why wasn’t it enough? We thought we had uncovered every stone and accessed every available resource – but SUDEP, Sudden Unexpected Death in Epilepsy, was never found. Where was it hiding, and why? What went wrong? Where do you go when you lose a child? You go to a dark place, search for answers, and pray for peace. Our peace and Emma’s voice have emerged in the form of Emma’s legacy…the Emma Bursick Memorial Fund.